Finally I have finished this monster of a book! Yikes, that sounds bad. It was monster in size, not in the story that was told. 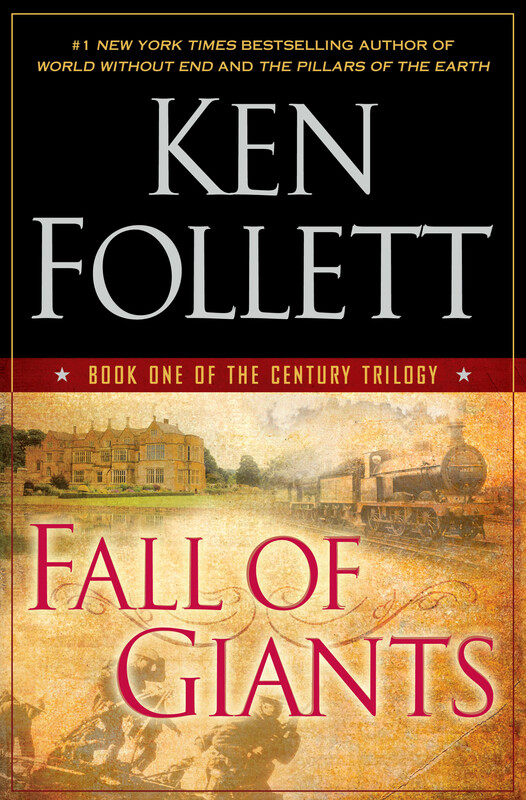 It has been a long time since I’ve read a Ken Follett novel, and while I did enjoy most of this one, I won’t be rushing to grab another of his for a while. I do love a good, long, detailed book that I can really sink my teeth into…. and this was fairly satisfying on all accounts. I learned a lot about what led up to WWI and also a lot about happened during WWI. I love that kind of historical stuff. What I didn’t love was some of the excessive verbiage that I felt this book had way too much of. Many “real” critics (not amateurs like moi) found fault with how the characters just happened to run into each other in very unlikely places and situations. I didn’t find that was true, until about three-quarters of the way through this epic. Then things began to happen which were highly unlikely. A bit disappointing to find out that the critics were right about this after all. Not that it really spoiled the read for me. I still enjoyed most of the chronicle and will probably read the next in the trilogy (which is yet to be finished) – it’s set in the period around WWII. The third part will apparently be about stuff I have absolutely NO interest in – the Vietnam war, and the end of the century. Heck, I lived through all that. No need to rehash it. Friends at work tell me that I simply cannot skip reading “Pillars of the Earth” by the same author. I do have it in my to-read pile, although it will be some time before I dust it off. This entry was posted in Books 2011. Bookmark the permalink.